Baking with coconut sugar is a little different than regular sugar. This article will teach you all that you need to know about this unique sugar and how to bake with it. What is coconut sugar? The sugar is made from the sap of cut flower buds of the coconut palm. What does coconut sugar taste like? It tastes nothing like coconut since it comes from the flower bud of the coconut palm, and not the coconut itself. It tastes a lot like a subtle tasting brown sugar. Some say that it has a slight caramel taste to it. What are the health benefits of coconut sugar? Coconut sugar has many health benefits, the first being that it is considered a natural sweetener. It has a glycemic index of 35, which is considered a low glycemic food. Coconut sugar has several benefits to it. It contains B vitamins, a high mineral content (potassium, magnesium, zinc, iron). It also contains glutamine. Are foods made with coconut sugar considered sugar free desserts? No. Coconut sugar is actually made up of sucrose, with small amounts of glucose and fructose. It is considered an acceptable sweetener for those with diabetes because of the way that it breaks down in the body. One teaspoon of coconut sugar contains 15 calories and 4 carbohydrates. One teaspoon of brown sugar contains 11 calories and 3 carbohydrates compared to white sugar that contains 16 calories per teaspoon and 5 carbohydrates. Is coconut sugar gluten free? Yes, coconut sugar is gluten free and there are several organic non GMO varieties available as well. Where can I find coconut sugar? You will be able to find it at most health food stores. It is usually sold in bags but several stores have now started carrying it in the bulk section which helps save money. 1. Coconut sugar can be substituted for white or brown sugar in a recipe. However, I have not had much luck using it with recipes containing lemon. Remember that it has a brown sugar type taste, so you will want to use it in recipes that you could interchange white or brown sugar in. 2. Use coconut sugar on a 1:1 basis in recipes. For every one cup of white or brown sugar in a recipe, use one cup of coconut sugar. 3. Coconut sugar is more coarse than white or brown sugar, so if the recipe calls for creaming the butter and sugar, the recipe will have a speckled look to it after baking and will appear more porous. 4. For recipes using melted butter or liquids like milk or water or semi liquids like oil, yogurt, or applesauce, allow the coconut sugar to dissolve for approximately five minutes in the liquid. Stir occasionally. After five minutes, add the mixture to the rest of your ingredients in your recipe. When your recipe is cooked, it will have a very smooth texture similar to cooking with white or brown sugar. This works well for recipes like bread, muffins and brownies, or cookies using browned butter. 5. If you are unsure about switching over completely to using coconut sugar, decrease the amount of sugar that you use slowly. In a recipe using 1 cup of sugar, use 1/2 cup white sugar and 1/2 cup coconut sugar until you become used to the taste and can adjust to using more of the natural sweetener in your foods. If you have any questions about baking with coconut sugar, you can always send me an email and I would be happy to respond. You can also find a link to buying coconut sugar in our store. If you are new to using coconut sugar you may just want to start by substituting the brown sugar and then gradually work to replacing both the white and brown sugar. If it’s for a gift you can definetely use the coconut sugar to replace both. If replace coconut sugar with both white and brown sugar, what would be the measuring for coconut sugar? Coconut sugar is 1:1. So if you’re making chocolate chip cookies and the recipe calls for 3/4 cup white sugar and 3/4 cup brown sugar, substitute with 1 1/2 cups coconut sugar. Hope that helps! I would like to make a peach cobbler using coconut sugar. Any advice? Mmm…peach cobbler with coconut sugar tastes amazing! I’ve made it many times and it works great! Can I make apple butter with coconut sugar? Will it can an preserve well? You can absolutely try! I’m not sure how it preserves if you are canning. I’ve never tried but I believe that it would preserve just as any sugar would. Let me know how it turns out after you try it! It may change the consistency of the tart as coconut sugar is more coarse, but I would think you could blend the coconut sugar a little to get a more fine sugar like consistency that you would need for the tart. Let me know how it goes! Hi, can I substitute dark muscavado sugar for coconut sugar? I’m making a rich fruity gluten and dairy free Christmas Cake 😋. Thanks. Sounds delicious! I haven’t tried muscavado sugar but you can totally try and let me know how it goes! 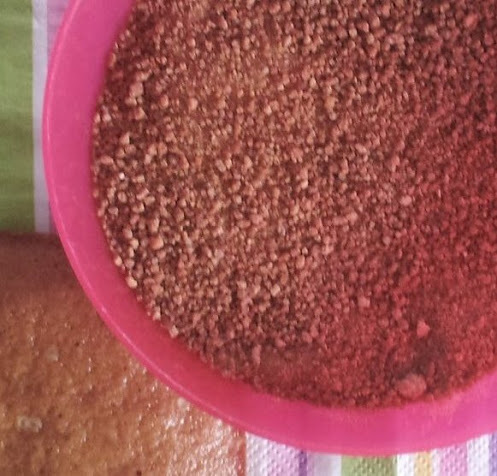 Hi, I was wondering if I should add extra baking soda or baking powder, or any rising agent when using coconut sugar in cake? I’m making a carrot to be exact but would want to use it in other recipes as well. I would like it to be as close as possible to the results when using regular white sugar. Thanks in advance! You can use coconut sugar the same as regular sugar. I have not had to add any extra baking powder or baking soda to my recipes. Hope that helps! I am going to try to make a cheesecake and want to substitute coconut sugar. Any suggestions? I have never done cheesecake but I would try to make the sugar as fine as possible. Let me know how it turns out! I tried 2 different recipes with it. Neither one of them turned out. It just won’t seem to bind together and set up. Hi, I used Swerve (Erythritol) confectioners or regular and it’s a great substitute for coconut sugar. I used Swerve (Erythritol) confectioners and regular and it turned out great in my cheesecake. I got lots of great comments on it. Good to know! I’ve recently started to use it to and need to post some recipes with it. Thanks for sharing! Can I use coconut sugar instead of caster sugar? I’m thinking of making Mary Berry’s orange spice cake with coconut sugar rather than caster sugar as I do not have caster sugar on hand. I believe there are some differences in using caster versus coconut sugar but you can definetely try it and see if it works. An orange spice cake with coconut sugar should work great! I will be just starting to bake with coconut sugar, I was just wondering if anyone has tried making frosting with it? You mentioned a problem with lemon and coconut sugar. Would using just 1 Tablespoon of lemon juice in a peach glaze for a pie be a problem ? I find that grinding coconut sugar into a powder with a spice grinder or Nutribullet removes the problem with graininess and speckling. That’s a great idea! I’ve done small batches in similar to a Nutribullet but not a spice grinder. Great idea! I would like to make what my Mom used to call an “Impossible Pie,” which is nothing more than an old fashioned Bisquick recipe that makes it own crust. 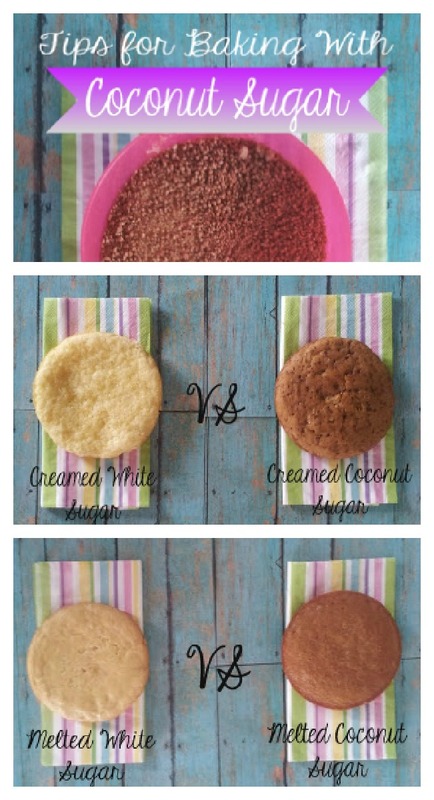 Is it possible to use coconut sugar in place of the one cup of white sugar? Yes you should be able to substitute the coconut sugar for white sugar just fine. Just a little nudge that the taste may alter a little bit. Coconut sugar tends to have a caramelly taste to it. Depending on what’s inside the pie you might notice a slightly different flavor. Enjoy and let me know how it turns out! I use coconut sugar for just about everything I make especially recipes made with nuts. I love the combination of the flavor of coconut sugar with nuts. I still use white sugar, however, when I’m making meringue. If anyone has any experience of using coconut sugar when making meringue, please let me know. Because I don’t cook with white flour I find the combination of spelt flour with coconut sugar adds a dimension to my baked goods. That’s good to know on the flours. Thanks for letting me know! I can’t have spelt but love that you’ve found a great combination of flours to use to enhance the way baked goods are made with coconut sugar. I haven’t had much luck with meringues and coconut sugar. I usually will opt to use raw sugar in that case and just grind it more finely before I use it.